Cleaning the oven is an abhorrent action to the vast majority of housewives. Here is an extremely effective trick that helps you to easily clean the oven. 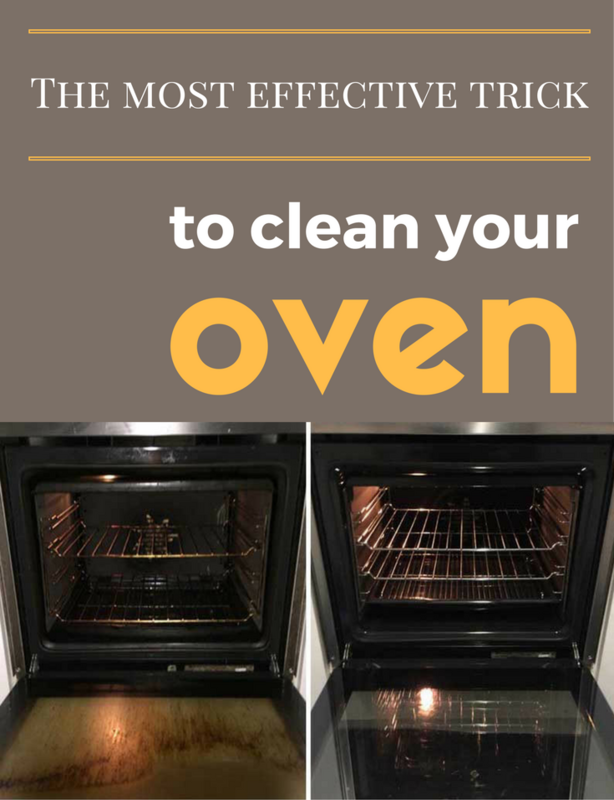 Oven cleaning is done in two steps. The first step is cleaning the interior, and the second involves cleaning the oven door. You need: a towel, a small bowl, apple cider vinegar, water, spray bottle, baking soda. First remove the oven racks. Put a few tablespoons of baking soda in a bowl and mix with water until you obtain a smooth paste, but not very thick, so it can be easily applied on the surfaces that require cleaning. Spread the paste throughout the oven. After touching grease and dirt, baking soda will turn a brownish color. Allow the paste to act overnight. To work effectively, it is best to wait about 12 hours. The next day, use a damp towel to remove as much paste as you can. Fill a spray bottle with vinegar. Spray the vinegar over the areas that still have baking soda residues. Wipe the oven with a damp towel. Put the oven racks back. Finally, turn the oven on and let it dry thoroughly for 15-20 minutes. Mix baking soda with water and vinegar until you prepare a thick paste. Apply the paste over the dirty oven door. Let the solution act for 30 minutes. Using a towel, wipe the glass well.